Lynn had gone through more than eight years of infertility treatment before she and her husband decided to work with Donor Egg Bank USA. Here, in her own words, is Lynn's incredible story of becoming a mother through the use of frozen donor eggs. She will become a proud mother to a baby girl in February 2014. Lynn wanted to share her story in detail to help other women understand they are not alone as they travel down this path, and to maintain hope on their journey. Q: What has your journey to parenthood been like? A: My husband and I have been on a very long, heart-wrenching, and costly journey in our attempts to become parents. We began our fertility treatment eight years ago, and after undergoing the typical preliminary attempts of Clomid and IUI’s, we moved onto traditional IVF treatment. We had nine IVF unsuccessful cycle attempts, and then began IVF with fresh donor eggs. We completed three fresh donor egg cycles with two different donors, but none of the cycles were successful, nor did we have frozen embryos resulting. Following our fertility treatment, we decided that adoption should be our next logical step toward parenthood. We were matched with a birth mom last year, but sadly we had to withdraw from the adoption plans due to serious issues with birth mom being non-compliant in many areas, particularly with her refusal to comply with mandatory drug-testing. All together, we spent and accrued bills close to $100,000 and had nothing to show for our efforts. Q: Why did you decide to use frozen donor eggs instead of fresh donor eggs? A: The concept of using frozen donor egg cycles was first introduced to us by Dr. Brian Berger at Boston IVF in January of 2013. My husband and I had actually made an appointment for a consultation with him because someone we knew was willing to donate frozen embryos to us, as she and her husband had completed her family. I had sent Dr. Berger my medical records in advance of our appointment, and when we met with him, he shared with us the opportunity to use frozen donor eggs. Ironically, after my husband and I had our third unsuccessful fresh donor egg cycle at my prior fertility center, I inquired about the existence of frozen donor eggs, but at the time it wasn't an available option. When Dr. Berger told us about using frozen donor eggs, we were initially in a state of shock that my being pregnant was still a possibility. It wasn't long before we knew this was an opportunity we could not miss! Q: How long was your treatment process after deciding to use frozen donor eggs? A: We first met with Dr. Berger mid-January of 2013, and just four months later, we went in for our embryo transfer on May 26th. It seemed to go by in the blink of an eye! Both Donor Egg Bank USA and Boston IVF exceeded our expectations for their highly effective communication and with how well-organized, informative, and efficient they were throughout the entire process. It was truly "smooth sailing" and the easiest cycle we had ever done! We received the phone call we'd been waiting so long for on June 4th, telling us that we were pregnant! Now we are 19 weeks pregnant with a baby girl. All of our ultrasounds and testing have assured doctors and us that all is progressing right on track. We couldn't be happier! DEB USA and Dr. Berger at Boston IVF aligned the sun, moon, and the stars for us! Q: Have you shared treatment information with loved ones, or kept this information private? How did you come to this decision? A: There are a handful of family and close friends who are aware of us having used a frozen donor egg, most of whom were ones who knew that we had done three fresh donor egg cycles in the past. Most others simply know that we went through IVF with Dr. Berger at Boston IVF. Many factors went into our decision for whom to tell about the "entire" treatment and who we felt more comfortable sharing just the IVF part. The reason for each varied depending on the individuals. We are so comfortable with having made the decision to use frozen donor eggs. Our reason for keeping this private from some has nothing to do with shame or embarrassment, but rather a personal choice to not reveal completely to everyone. Q: Did you use the Assured Refund Plan or the Single Cycle Plan? A: We went with the Assured Refund Plan because we simply couldn't risk losing more money and having nothing to show for it. We had been through too much financially and emotionally. Even though we got pregnant on our first cycle, I don't regret having gone with the Assured Refund Plan. It made us feel much more relaxed as we entered into our cycle knowing that everything did not depend on this one cycle. It truly gave us peace of mind to know that if we weren't able to get pregnant and deliver a live baby, we had a wonderful insurance plan that looked out for us. 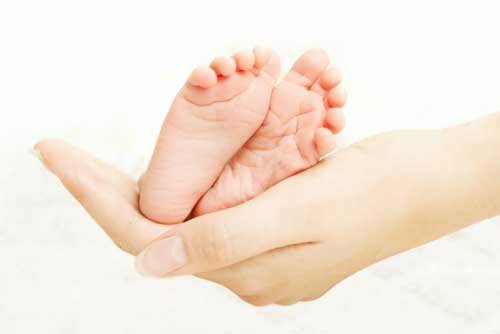 Q: How were your experiences with Donor Egg Bank USA and Boston IVF? 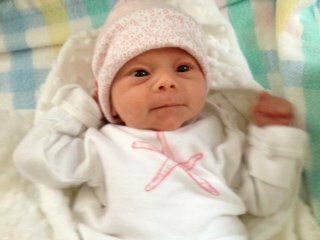 A: As I mentioned above, our experience with Donor Egg Bank USA and Boston IVF was exceptional! From the very first conversation I had with DEB USA to our final appointment with Dr. Berger when he "released" me as a regular OB patient (yippee! ), I can't say enough about the care, attention to detail, and competency of every single person involved in the process. Phone calls were always returned quickly, the time was taken to answer any questions we had, and there were no surprises or unexpected fees or requirements. I believe wholeheartedly that the partnership between DEB USA and Boston IVF is superior, and both my husband and I felt confident that we were finally with the "right" people who were going to help us achieve our dream of becoming parents. Q: What would you want to tell someone considering donor eggs? And frozen donor eggs in particular? A: Since we have experience using both fresh donor eggs and frozen donor eggs, I can speak to both choices. We completed three fresh donor cycles, but none of them were successful. Using fresh donor eggs was the only option we had at the time, but it came with many, many drawbacks. Among them is the fact that cycles between the donor and recipient have to be synchronized to prepare for embryo transfer. You also don't know if the donor is going to have a successful cycle with quality eggs for fertilization. There is also "human error" on part of the donor that can create a lot of anxiety for the recipients. For example, our first donor lived in Washington state, and she missed her flight to Boston just before the retrieval. Talk about stressful! However, when using frozen donor eggs, all of those chances for error are removed, providing greater peace of mind for the recipients. We didn't have to worry about anything going wrong with the frozen donor eggs because the frozen egg lot was already reserved for us and was ready for delivery when we needed them. Q: Can you share an experience or moment that may help or inspire others on their path to parenthood? A: Ironically, even after all we had gone through, I had always said that we were going to become parents, it "just hadn't happened yet." In my heart, and in my head (because I had always been very strong, focused, and determined throughout our entire fertility journey), I just knew that something was going to give to allow us to start a family. I just didn't know at the time what that something was going to be. When I first met Dr. Berger, it was with mixed feelings. I actually had him chuckling - for years while I was doing fertility treatment, anytime I met someone who had gone through IVF successfully, it had been with treatment from Dr. Berger at Boston IVF! There was no other name I heard; it seemed like every time I turned around there was another pregnant woman or new mom who had worked with Dr. Berger. Even though I'd always been able to genuinely share in the joyful news and happiness of others, I was started to get annoyed hearing his name so often. Everyone was having success except for me! I wondered, "Who is this Dr. Berger?" and what is it about his treatment that is so different? Unfortunately for me, I wasn't able to switch to Boston IVF because at the time they didn't have a satellite office in Providence for blood work and ultrasound (but they do now), and I needed to be able to go to work on time after my monitoring appointments. However, I truly believe that everything happens for a reason because when I met the woman who wanted to donate her frozen embryos to us, she told me they were at Boston IVF and she had been a patient of Dr. Berger. I knew this was (finally) my opportunity to meet this "superhero" of the fertility world! Q: What is your pearl of wisdom you wish everyone person knew who started on this path to parenthood? A: The path to parenthood is different for everyone. Our path led us on many detours, extended routes that took us all over the map for more than eight years with lots and lots of bumps in the road - many that were quite rough, but we never let ourselves reach a dead end. If you keep your hearts wide open, your dream will happen. Q: How did you feel when you received the news that you were pregnant? When are you due? What have you done to prepare for parenthood? A: We were thrilled beyond belief when we got the great news that we were pregnant. Our baby girl is due on February 11, 2014. Besides having taken prenatal vitamins for more than 10 years, we're now doing all the "typical" things that expectant parents would be doing at this time. We're preparing the nursery, sorting through baby items that have already been given to us through the years, planning our baby registry, having fun sharing our exciting news, and above all, we are taking very good care of the growing baby inside of me. I'm really starting to show now, and I just love my baby bump. It's the most amazing feeling in the world, and it's one that I believe every woman should be able to experience if she desires. Q: Is there anything you would like to add or share? A: Even though we are pregnant many, many years later than we had originally hoped, I truly believe that this is the baby who was meant to be with us, and she's already worth every ounce of energy, emotion, and penny we put forth to get to this beautiful place. overflowing joy and deep love to us, along with our family and friends. She was absolutely worth the wait and everything we endured along the way.